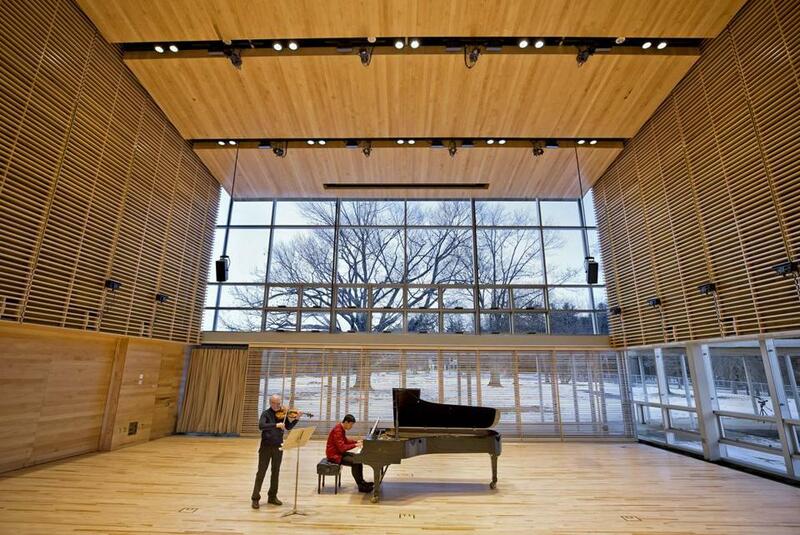 Pictured at Tanglewood’s new Linde Center for Music and Learning are BSO violist Michael Zaretsky and pianist Yang Bao during acoustical tests Jan. 28 in Studio E, the largest of the four-building complex. The Boston Symphony Orchestra is preparing to unveil the new Linde Center for Music and Learning, offering a first look at the four-building complex slated to open in June 2019 at the Tanglewood campus in Lenox. Designed by William Rawn Associates, the complex will be the home of the BSO’s new Tanglewood Learning Institute (TLI) and provide support to the Tanglewood Music Center, the BSO’s summer academy for advanced music study. 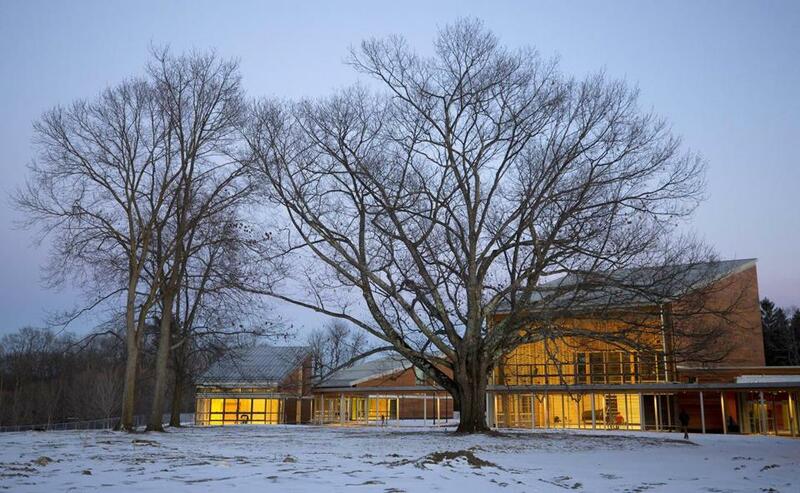 The opening of the Linde Center marks the largest new addition to the Tanglewood campus since Ozawa Hall, also a Rawn design, which celebrates its 25th anniversary this year. The complex is targeting a Gold certification under the Leadership in Energy and Environmental Design (LEED) 2009 rating system for new construction. Designed specifically to support TLI programs and including three studio spaces, with the largest seating 270, the climate-controlled complex will in addition provide multi-use spaces that are usable year-round. Starting in fall 2019, the center will be available for event rentals and programming by the Berkshire community and others. Both the new buildings and TLI are supported by funds from Tanglewood Forever, a campaign that has to date raised $61.4 million. The Linde Center for Music and Learning, designed by William Rawn Associates Architects, will open in June. It is home to the new Tanglewood Learning Institute, which will also launch this summer. Under the directorship of Sue Elliott, TLI will offer an array of cultural activities and educational programs, including lectures, panel discussions, film screenings, open rehearsals, and visual art workshops. Further details about programming will be available at www.tli.org.